In taking my car to the Toyota dealership for service over the weekend, I spent a good two hours in their waiting area. While waiting, a young mother and her son, about three years old walked through. 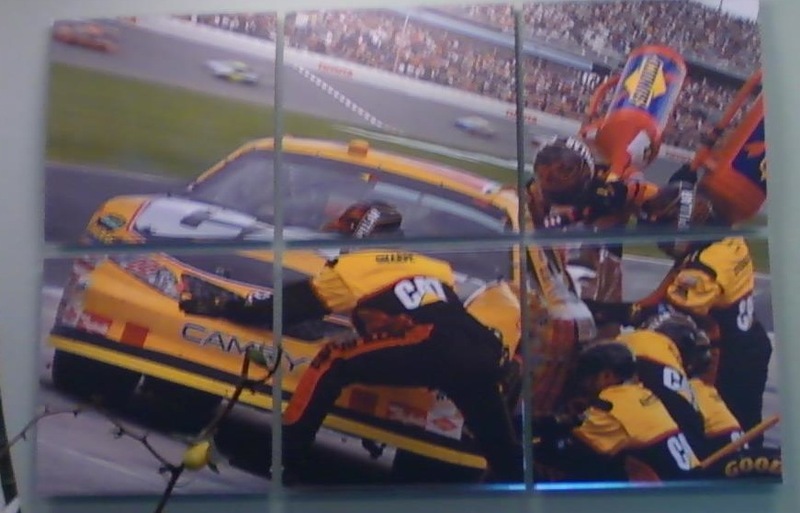 The mother, trying to entertain her bored toddler pointed at the wall where a large picture of a yellow race car in a pit stop hung. In the picture, the car is surrounded by a pit team, quickly prepping the car to return to the race. My attention no longer in my book, I kept my head down, but eavesdropped on this perfect example of marketing. The mother said, “Look hunny! It’s just like your race car. We should have brought your car.” Of course she was probably referring to a sporty Matchbox car back at their home. Finally, having her toddler’s attention she kept pointing saying, “Look.” As she picked him up and carried him closer she said, “Look hunny! It’s a Camry? !” The surprise in her voice was the kind that belongs in a TV commercial. Filling in the marketing blanks, I mentally played out the scenario, “What?! Your sporty Matchbox car looks like a Ferrari, but it’s a Camry?” You could almost hear the gears turning as she realized the implications. She could actually BUY the car that her son thinks is the sportiest, coolest car ever. I love finding these pure interactions with a brand. Obviously, Toyota put that image on their wall knowing what it meant. This was a set-up, not a coincidence. This is why I love the world of advertising and marketing.